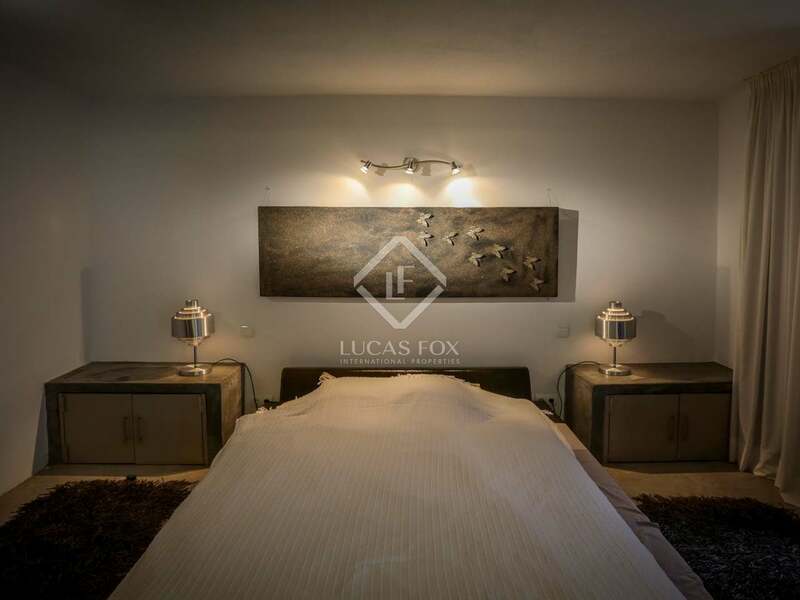 Traditional style villa with 6 bedrooms plus a 1 bedroom guest house 15 minutes from Ibiza town. 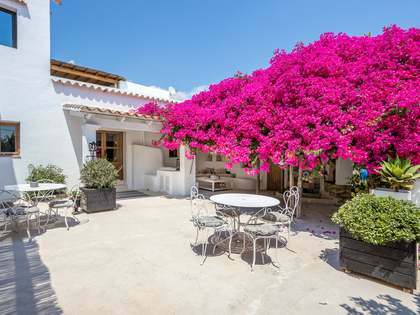 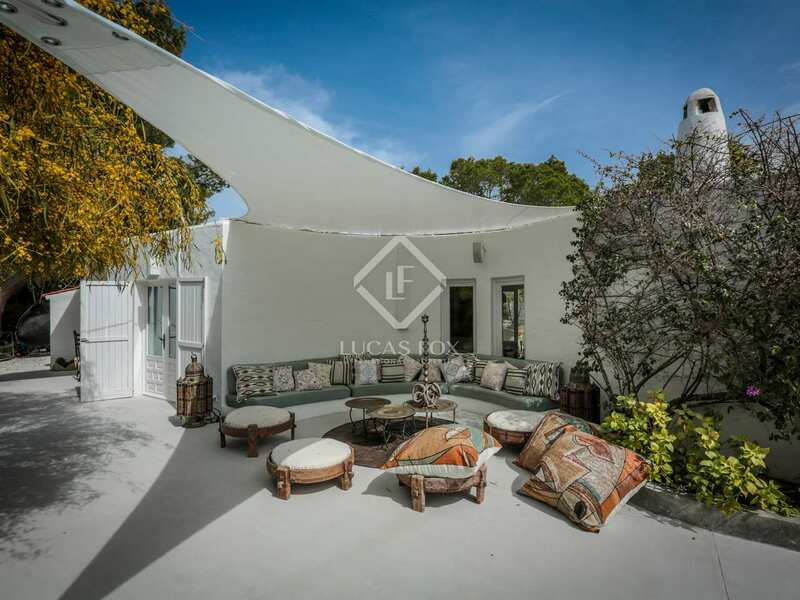 This beautiful, traditional style villa for sale in Ibiza is located in the very heart of the island, 15 minutes from Ibiza Town and 10 minutes from San Josep. 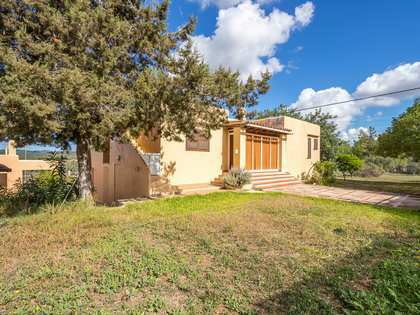 The property is presented in excellent condition with no renovation work required. The main house, distributed across 1 level, is composed of a living-dining area with 6 bedrooms, each with an en-suite bathroom and 4 with a separate entrance. 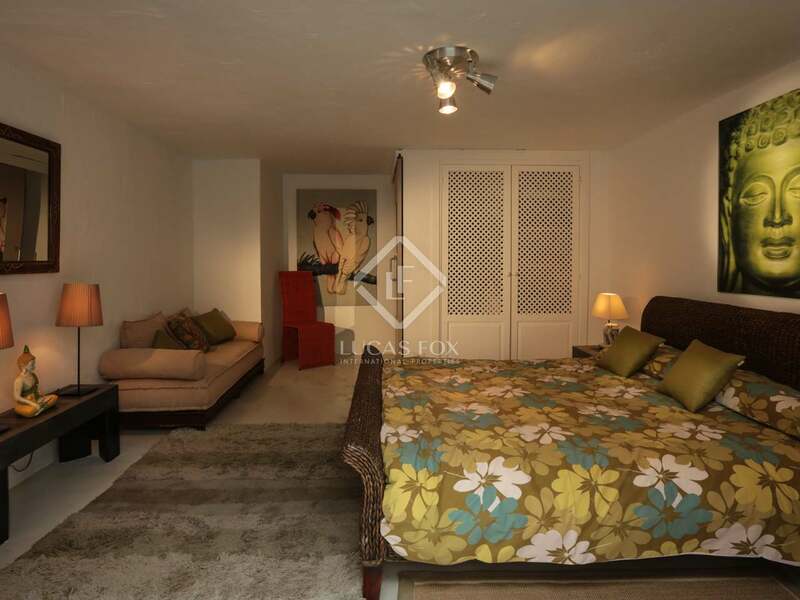 There is also a guest bathroom, office and utility room with an external entrance. 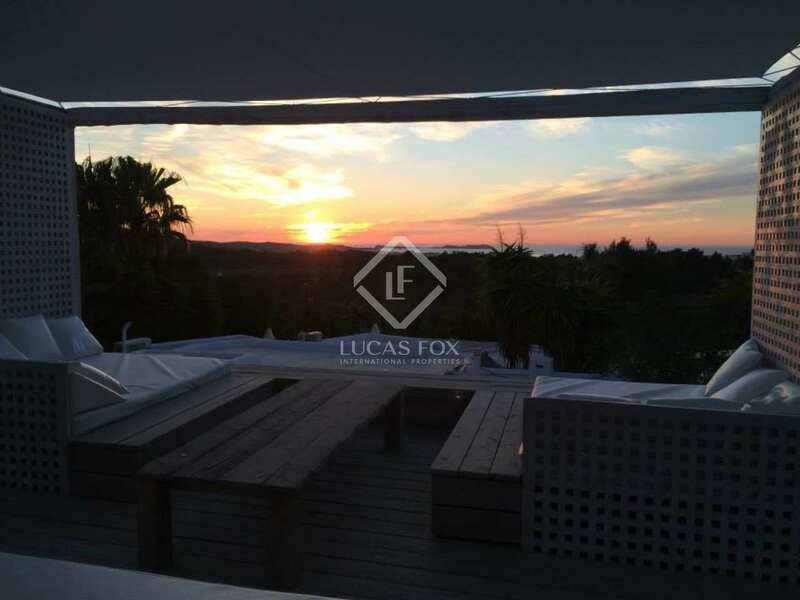 The roof terrace has a chill out area from which lovely countryside and sunset views can be enjoyed. 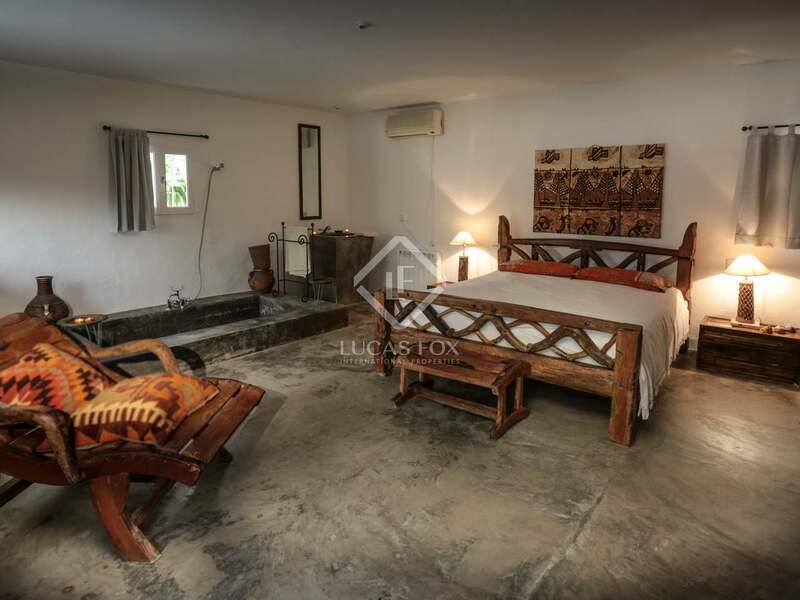 An independent guest house, also distributed across 1 level, has 1 bedroom, a living area and a bathroom. 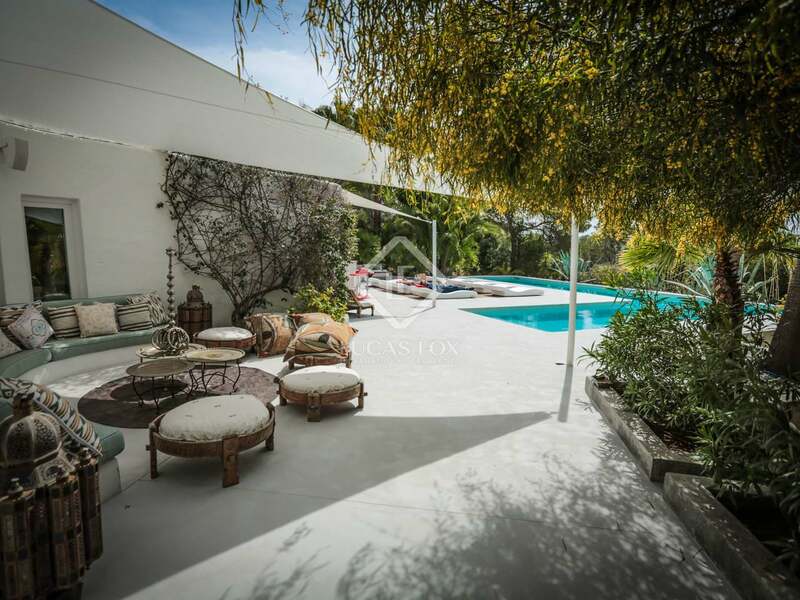 The villa has a private swimming pool set within the pretty Mediterranean gardens. 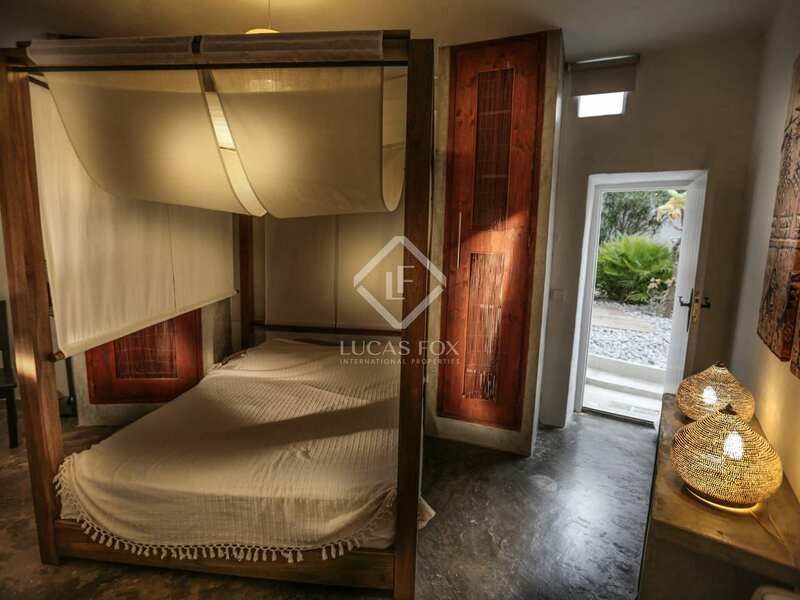 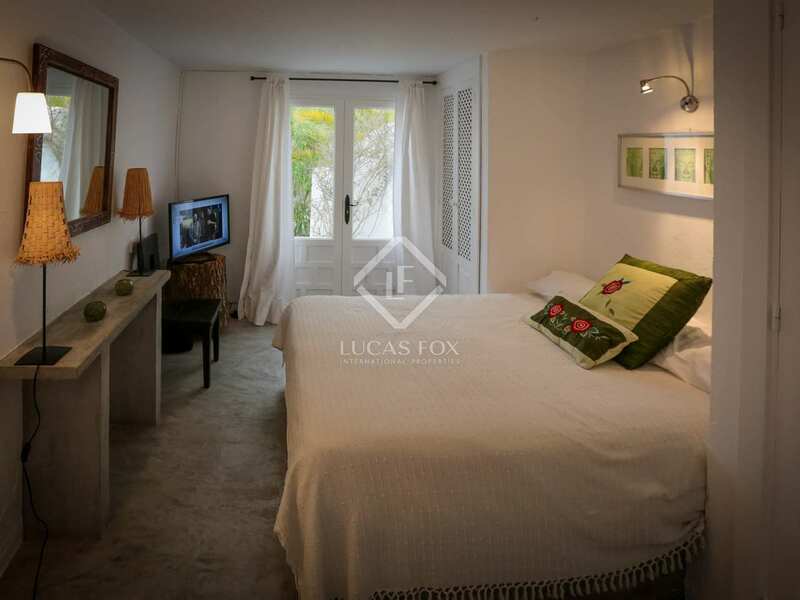 Given the beautiful setting and bedrooms with external entrances, the villa is an interesting investment property. 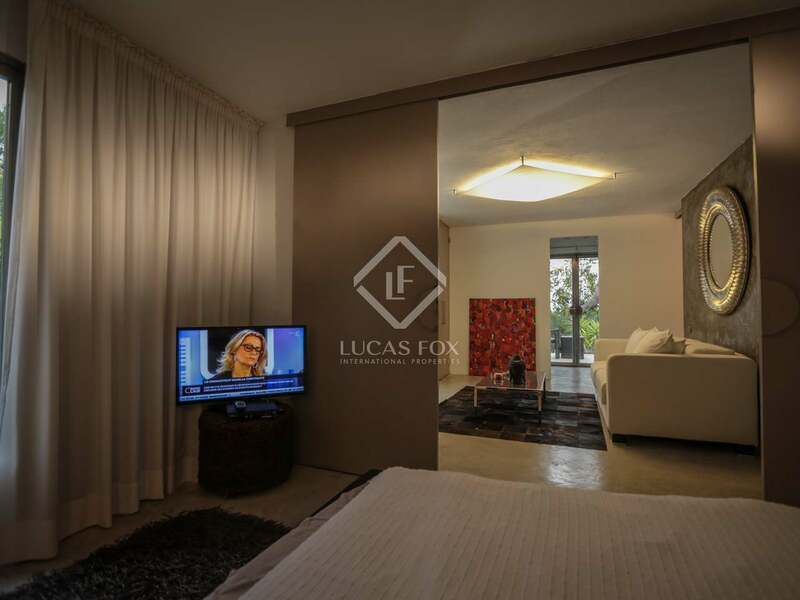 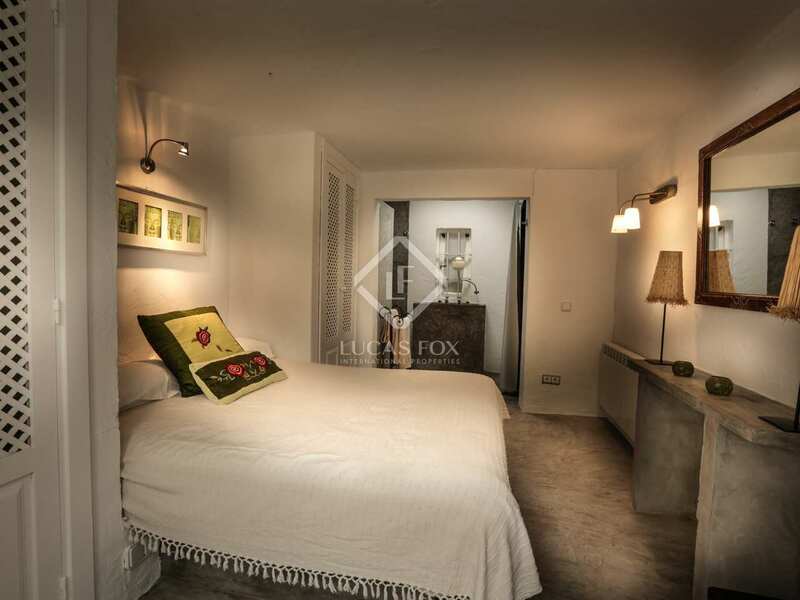 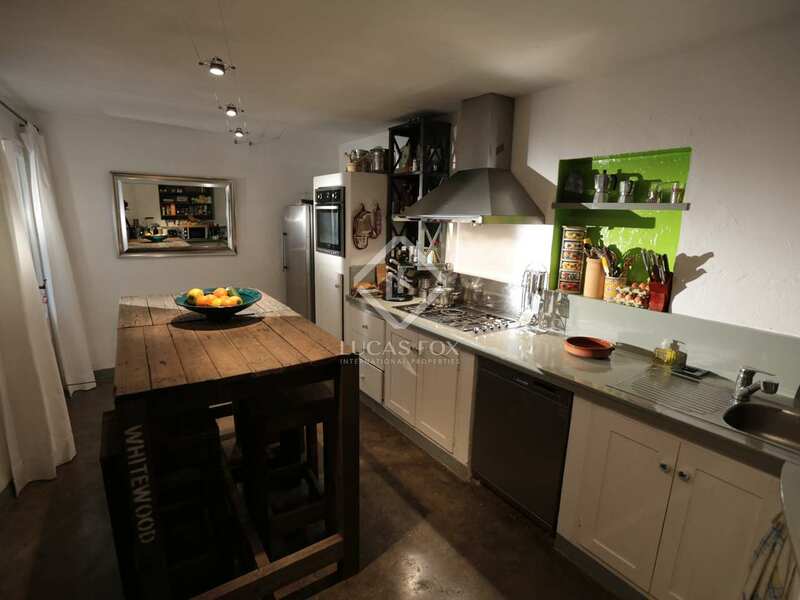 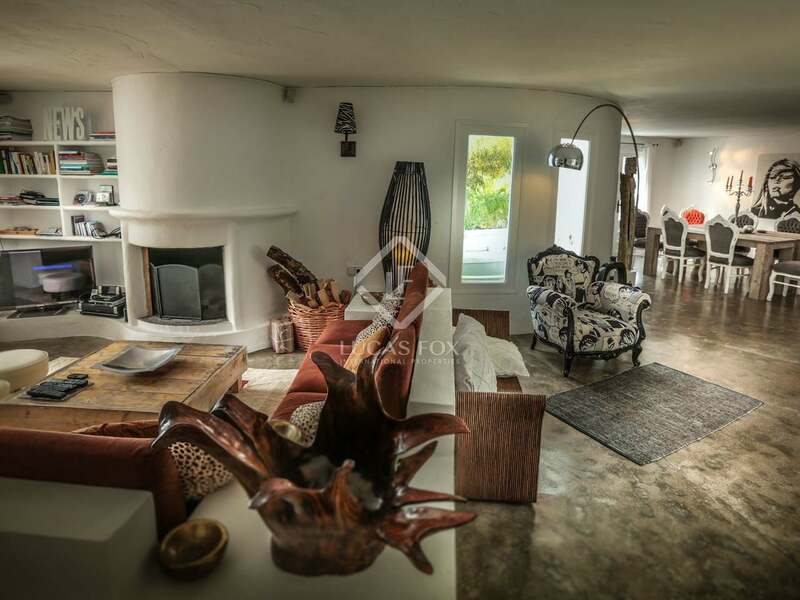 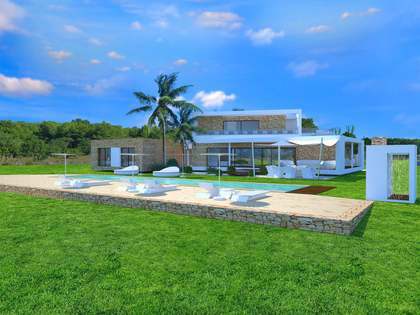 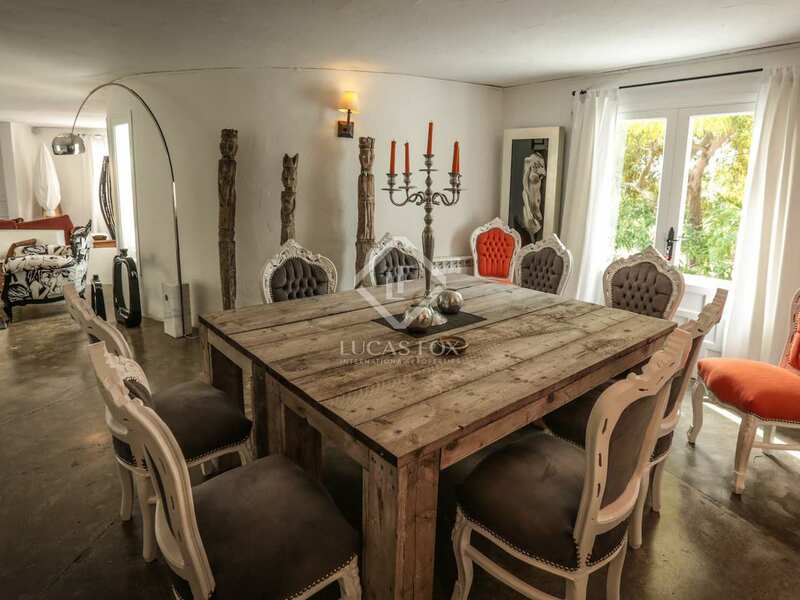 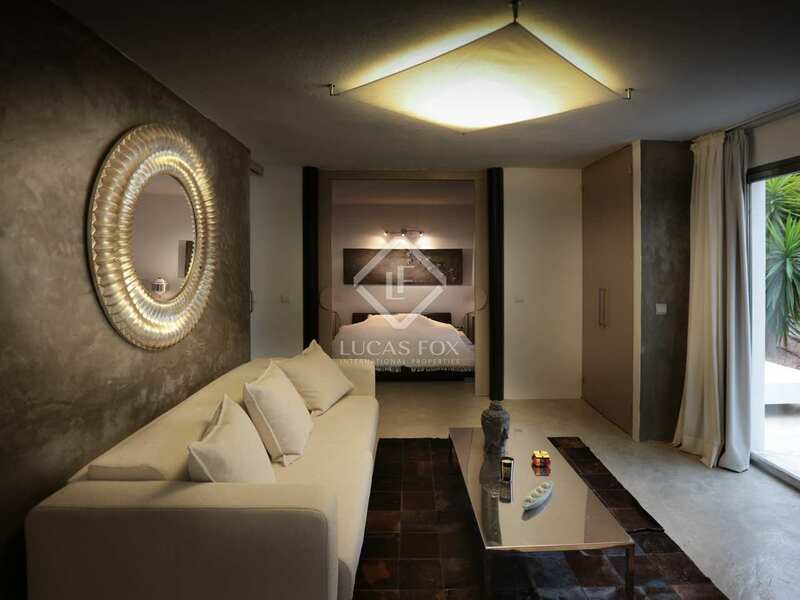 It would also make an excellent family home or second residence for those seeking a peaceful property in Ibiza. 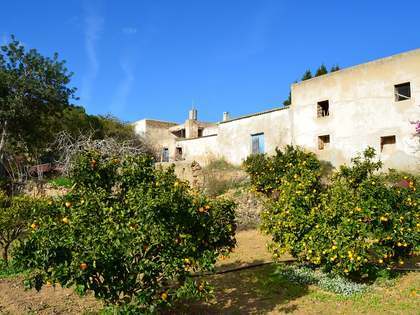 Property located in Benimussa, in the heart of the island, 15 minutes from Ibiza town and 10 minutes from San Josep. 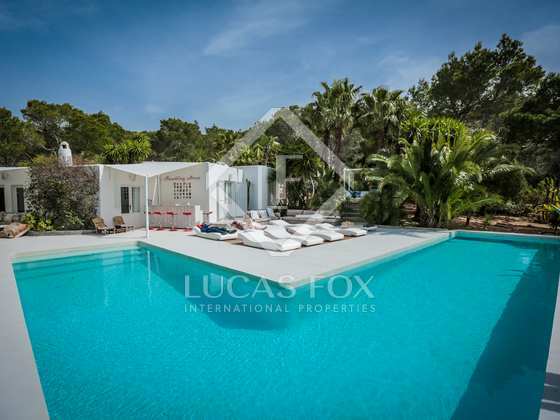 The airport can be accessed easily as can Ibiza's beautiful beaches.